[What craftsman] is so negligent of his child’s profit that he does not instruct him in crafts when he is young…? By the age of seven, children in medieval England were expected to contribute to family work, such as minding siblings or feeding chickens. For one household in Buckinghamshire, this meant helping with the family pottery business. 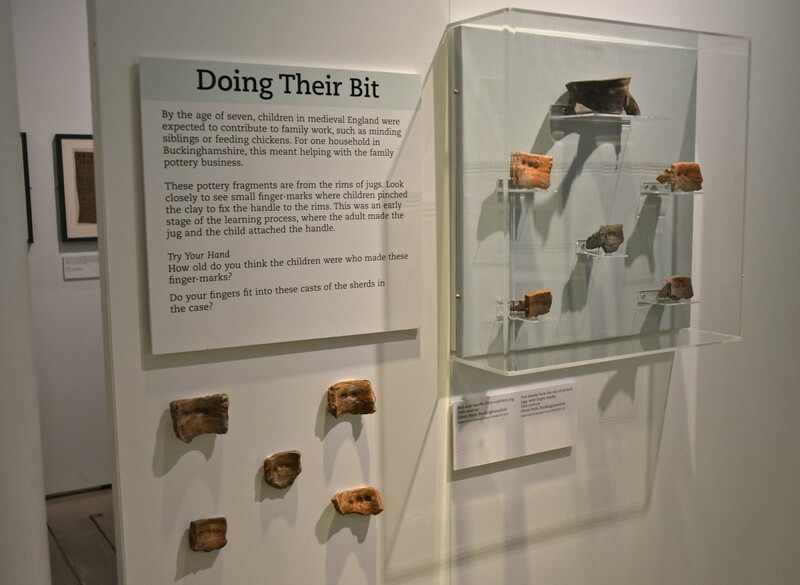 These pottery fragments are from the rims of jugs. Look closely to see small finger-marks where children pinched the clay to fix the handle to the rims. This was an early stage of the learning process, where the adult made the jug and the child attached the handle.